What is it about remodeling the kitchen that is making me look at the rest of the house with new eyes? I seem to be noticing all the little blemishes and unfinished decorating projects. The bathroom is one place that could use a little sprucing up. We choose a purpley wine color for the walls a few years ago, which has turned out to be a challenging color to coordinate with. 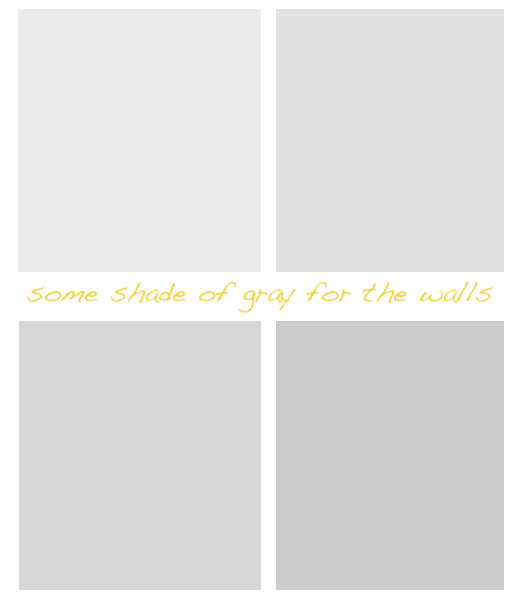 So, at some point, probably not right away, I would like to repaint the walls a light shade of gray. I think it would create a really neutral palette with the black and white tile. 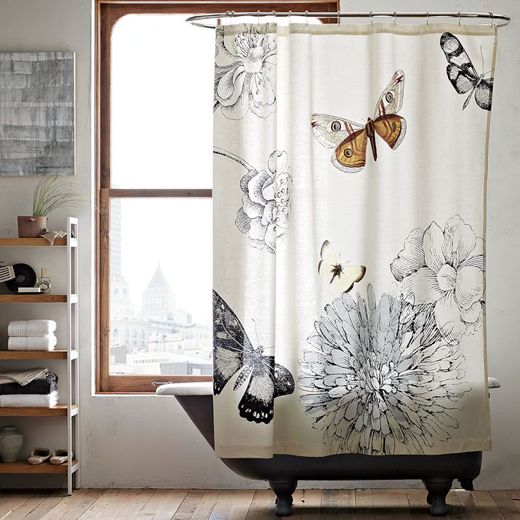 Then I will work in some color, while still keeping it light with this shower curtain. I just ordered it from West Elm. 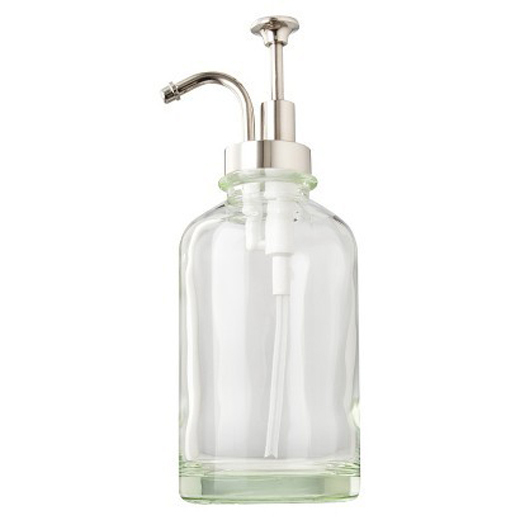 Embarrassingly enough I haven't had a real soap dispenser, I just buy those disposable ones. So wasteful! I just picked this one up at target and I love the vintagey simplicity of it. 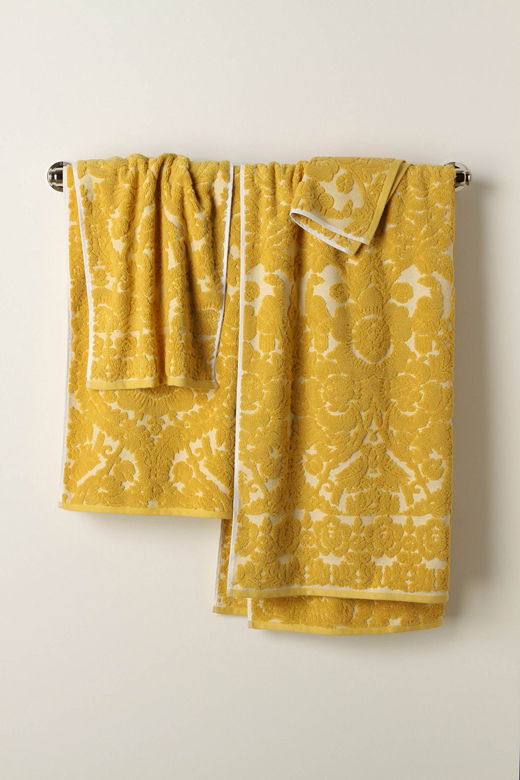 I've been wanting these towels from Anthropologie ever since I saw them at one of their stores a few years ago. They remind me of a pink version my Grandma had. Not sure I'll be buying the whole set, but I did get a gift card for Christmas, so maybe I'll put that towards a few hand towels to get started. We currently have a white bathmat and it's not my favorite because it blends with the tile and shows every little spot and hair. 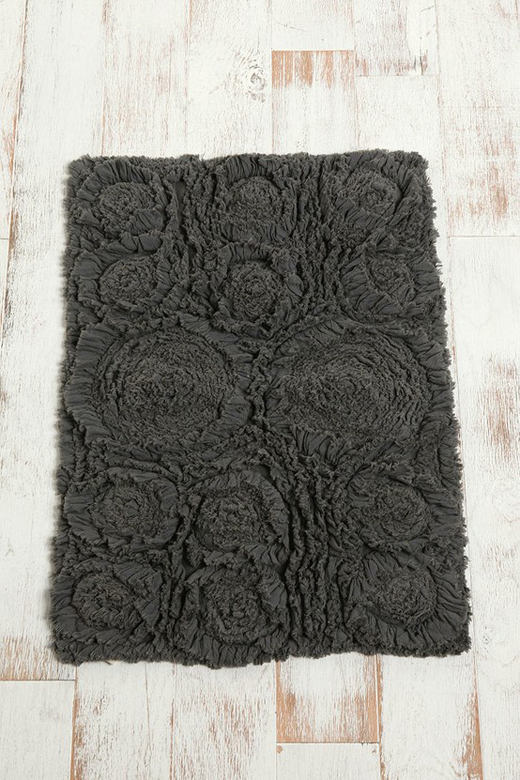 I like the texture of this one from Urban Outfitters. The shower curtain you picked out is so pretty! It's really amazing how a whole room can transform with new paint and a few new accessories. Wood can be a residing materials along with the more dampness obtains, the greater your wood countertops may broaden.